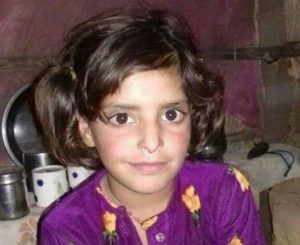 Kahtua and Annua – an 8 year old girl was gang raped and brutally murdered in India. I urge Muslims and Hindus to feel the pain together and never let the divisive crooks pit Hindus against Muslims and vice-versa. Let them be the losers and not the general public. This tragedy has united most of the Indians except a few ugly men from the ruling party. These men have lost all sense of morality. Mr. Modi, the Prime Minister of India, made out of the same cloth as Mr. Trump and remained silent for two days after the two rapes and murders. These men; Modi and Yogi, the Chief Minister of Uttar Pradesh cannot understand the pain of the families when their daughters and sons are hurt, as they don’t have families to care for. I hope India passes a law that one should be married and have at least one child to run for public office. Prathiba Prahlad of Delhi has expressed her outrage, that most of the people relate with. Ravi Krishna Pain knows no boundary. Lawyer Deepika Singh Rajawat has taken up Asifa’s case in the court despite threats from J&K Bar Assn. It was also the impartial probe by SSP crime Ramesh Kumar Jalla that led to the filing of the exhaustive charge sheet in the case much before the 90 days deadline. Some hope. A few ugly politicians want the criminals to go scot free. Finally Modi and Yogi Spoke, they had no choice, they saw the public was outraged, and they ‘had’ to speak out, not because they wanted to. Both of them have a bad record on quelling conflicts.